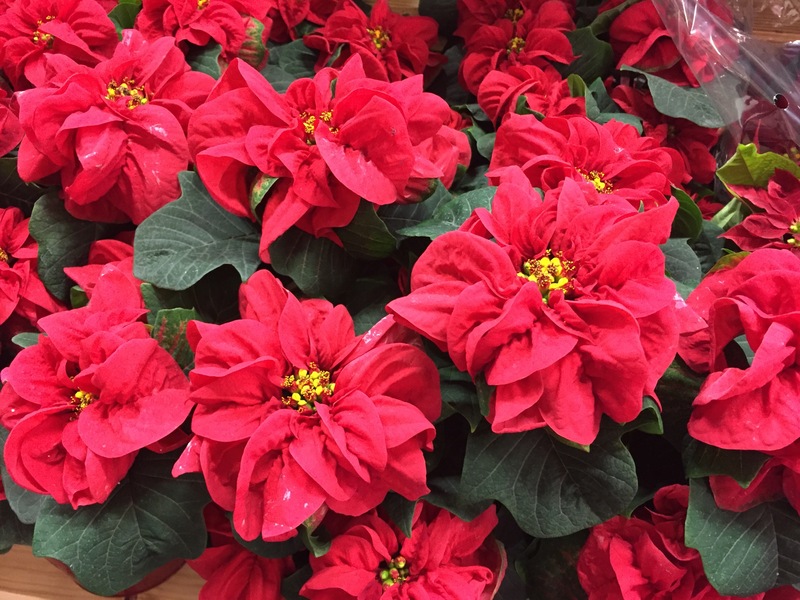 In case you hadn’t noticed, Christmas poinsettias are out in full force. So far, the cutest ones I’ve seen are these adorable pinwheel-like beauties. I’m not sure what the actual variety is called (the little plastic plant marker that was in the pot just said poinsettia) and it wasn’t until I was looking at old photos on my camera that I realized they look like the plastic pinwheels I put in my garden to keep the birds away. I also saw these beautiful pink/white poinsettias. I just love how the variegation makes it look like there are leaves within leaves. Very pretty. 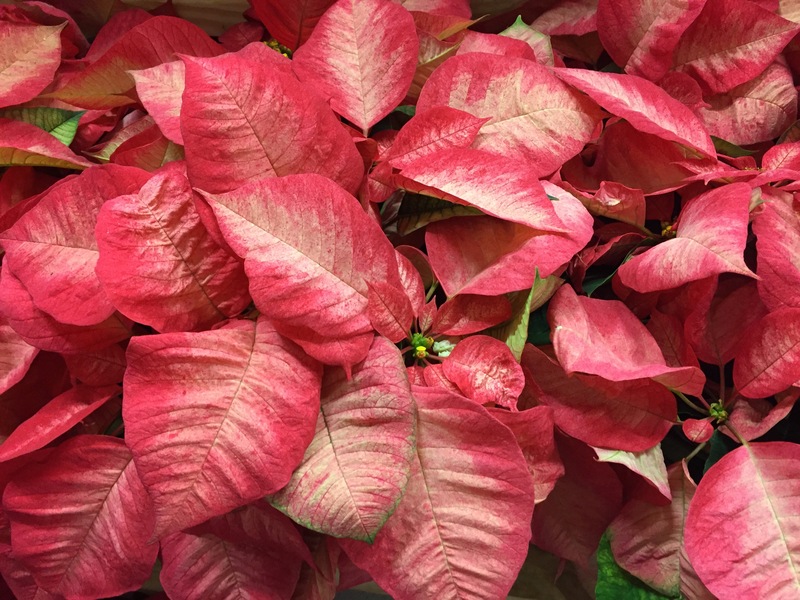 Have you seen any new varieties or colors in the poinsettias where you live this year? Or maybe you have a tried and true favorite. 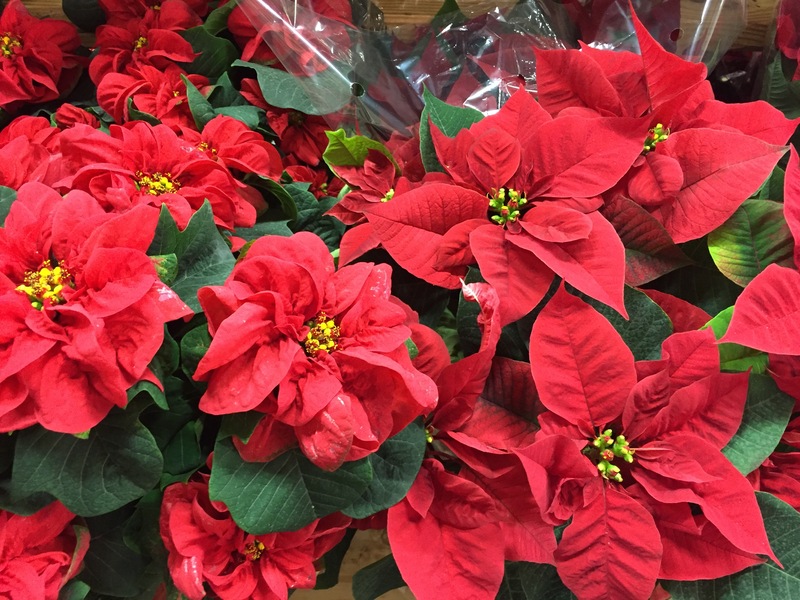 Either way, I’d love to see photos of poinsettias from different parts of the country (or world?). Email me and I’ll put them in an upcoming blog post.